FAQ | Cath-Tech Cathodic Technologies Ltd.
Close Interval Potential Surveys (CIPS) involve reading the structure to electrolyte potential. Often this is reading the potential between the pipe and the soil it is buried in. This provides the surveyor with an indication of the level of cathodic protection on the structure. Direct Current Voltage Gradient (DCVG) involves reading the voltage gradient between two evenly spaced electrodes. This provides the surveyor with an indication of any defects in the coating. The use of electrical current to polarize a structure, creating a non-corrosive environment. Performing a combined survey allows for direct comparison of the level of cathodic protection and the condition of the coating to be analyzed at the same time. 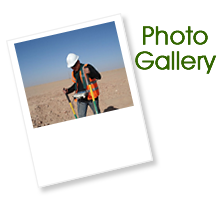 By interrupting the source of the cathodic protection current, the surveyor can take readings that are free of IR Drop, also known as the polarized potential. Readings taken with the current source switched on can be artificially high due to resistance in the survey circuit. By using satellite Global Positioning System, many individual survey components can be synchronized extremely accurately as they all receive the same timing signal from the satellite system. Using GPS can also allow the surveyor to record the GPS location and time each reading was taken at, providing accurate information for later analysis.